Happy New Year! I was not here much in 2016. Part of it was the 9 month renovation project at our home. Two remodeled bathrooms starting at the studs, new A/C that required a lot of carpentry and new ducting, new windows in one of the upstairs bedrooms and new paint in much of the house. 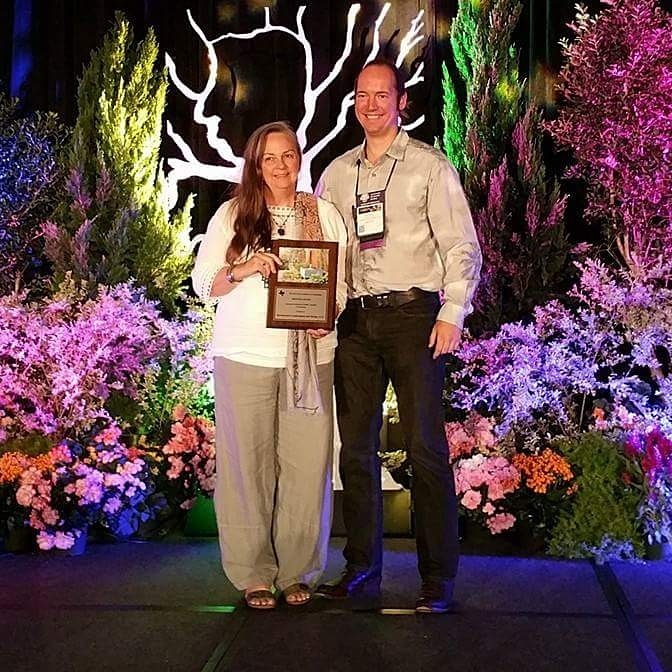 I was the designer and GC on top of my full time job of running a landscape design install company with my husband . It all turned out great but was an exhausting process. I have pictures on a page on FB if anyone is curious: it is called Ravenscourt in the Heights and is just about things concerning our Victorian home and gardens. 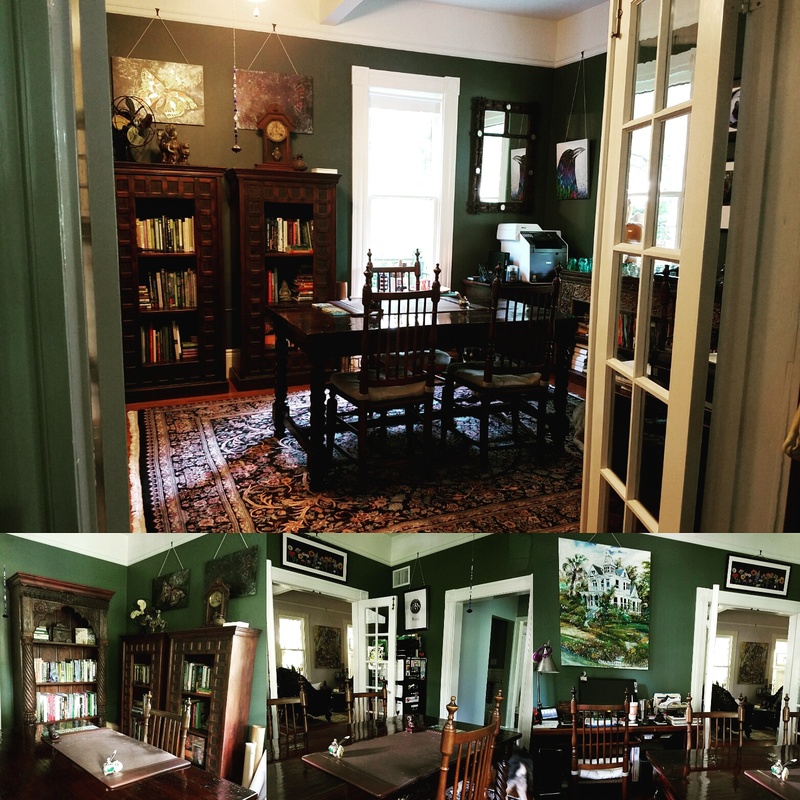 Here is our office that was redecorated and painted and now has a table that works perfect for client meetings. 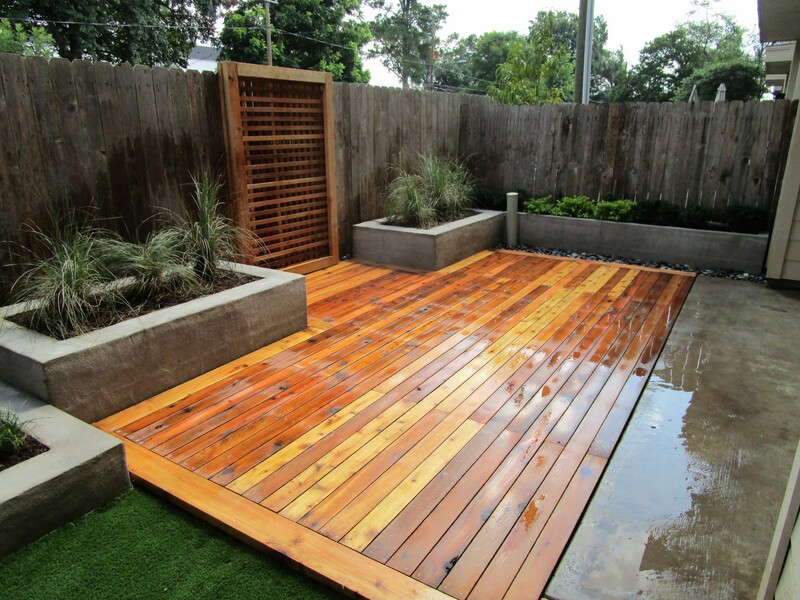 Back to catching up on fun projects we have been working on.This installation was another town-home back yard. It had some tired landscaping but when we first saw it the weeds were knee high. The owners wanted to extend their entertaining area, have a nice view from their workout room and work around utilities and other obstacles. 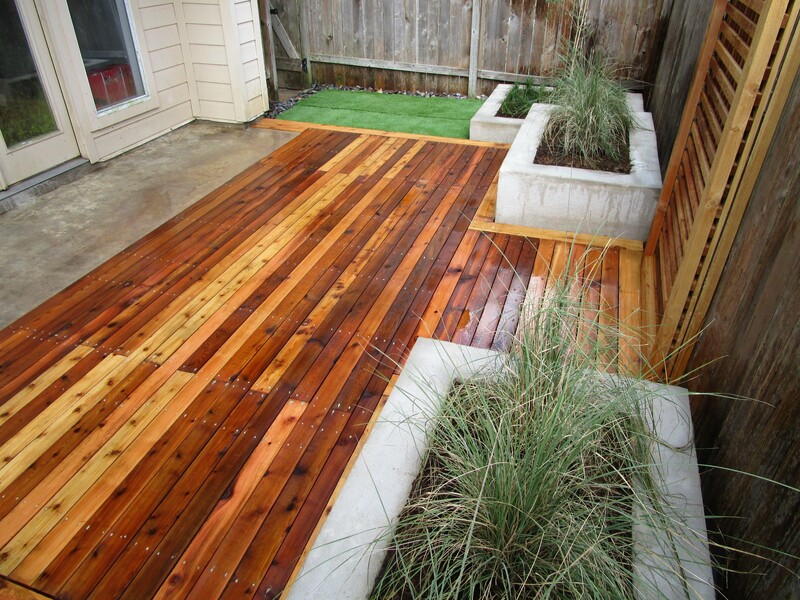 They had some artificial turf a friend gave them that they wanted worked in and a Bottle Brush tree. We start with Demo Day! I am a fan of Fixer Upper and Chip the co-host uses this term with such enthusiasm that it is stuck in my mind! 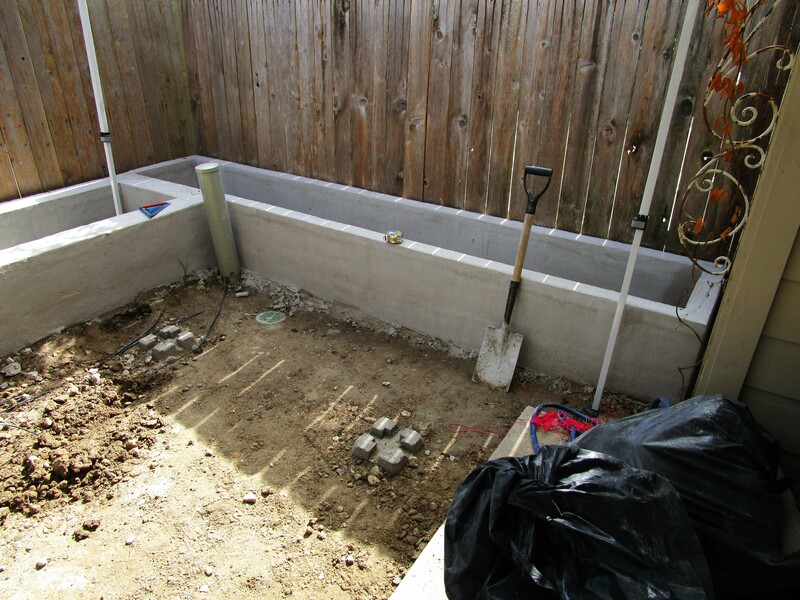 Once the ground was cleared and the drainage sorted we started on the raised bed construction. 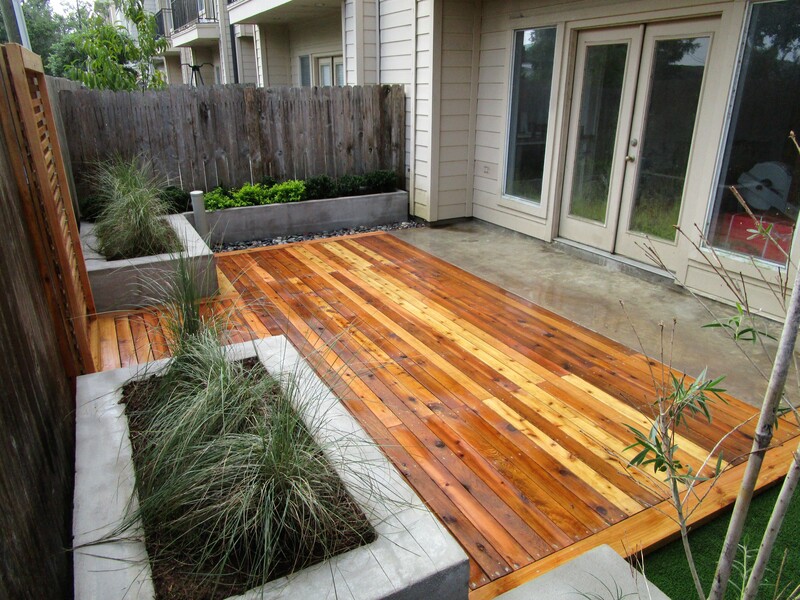 The idea is to have a wooden deck come straight off the small concrete patio that is outside the sliding doors. 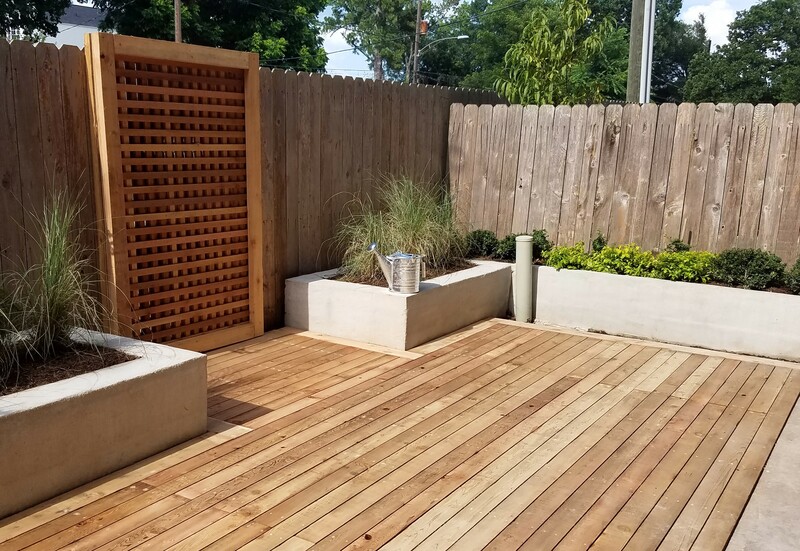 We used small piers and pressure treated lumber for the base in order to help deal with our rain, heat and humidity. There needed to be a break in the beds for airflow and drainage. 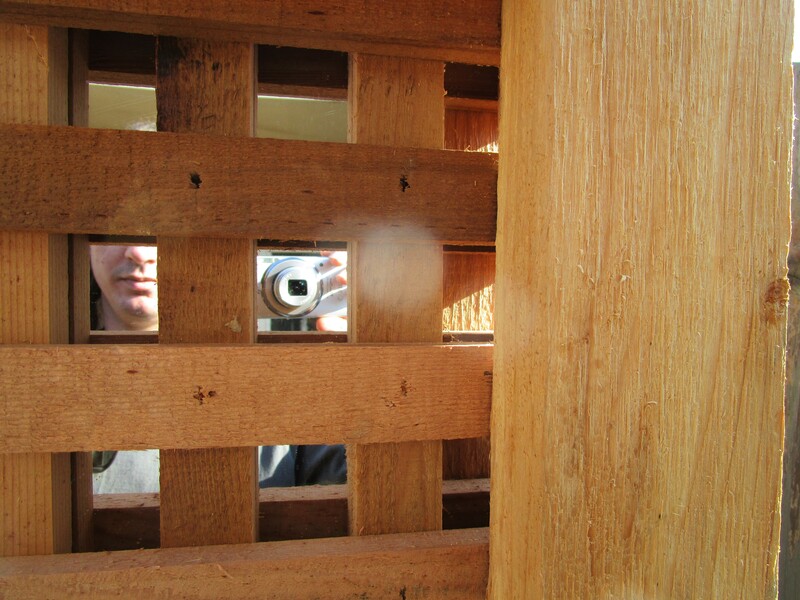 I like to use mirror and lattice to create a sense of space and visual interest. 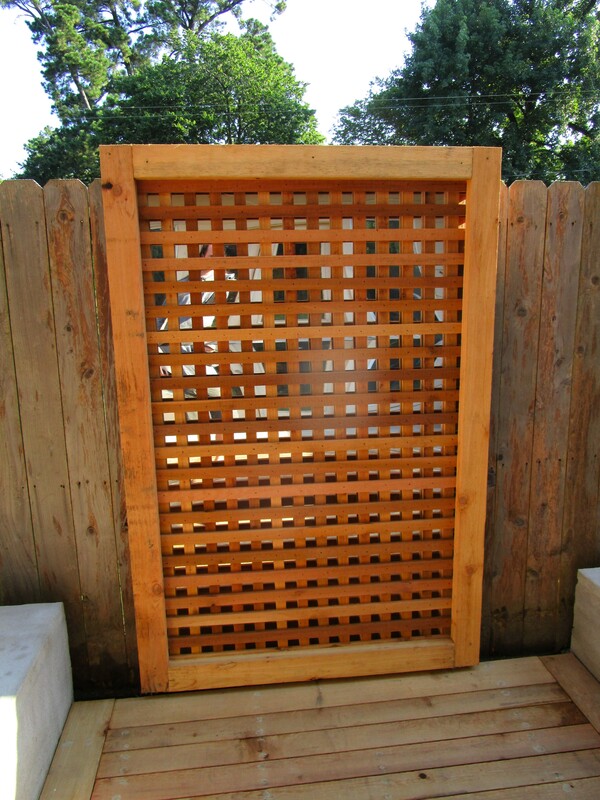 This niche can be used for a cafe table and chairs or a bench or even an art piece. Shawn having fun with the screen. The clients are busy professionals and needed low maintenance plants. They opted for hand watering so I kept the palate to low water need plants. We even gifted them a fun old fashioned watering can to help remind them! Here are a series of after shots. 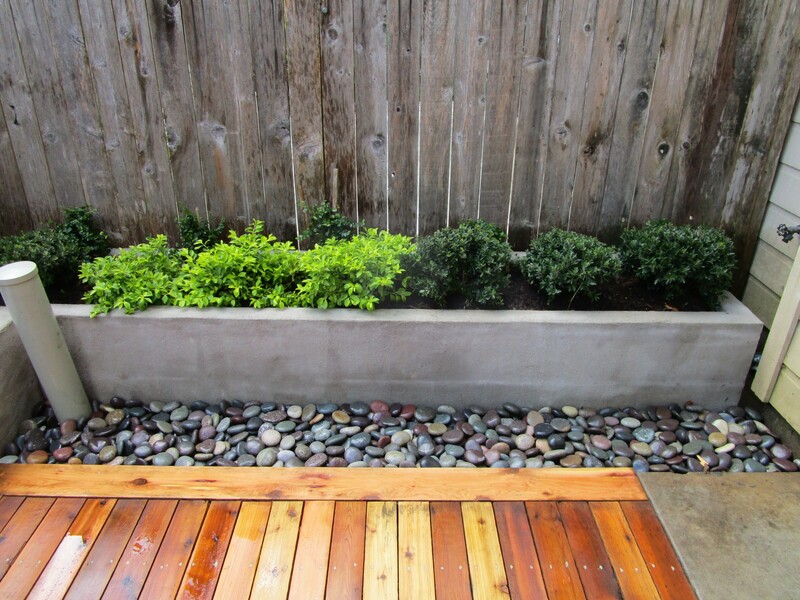 The rock channel is a fun feature with river rocks in a multitude of natural colors. I did that to help tie the wood and cement together. 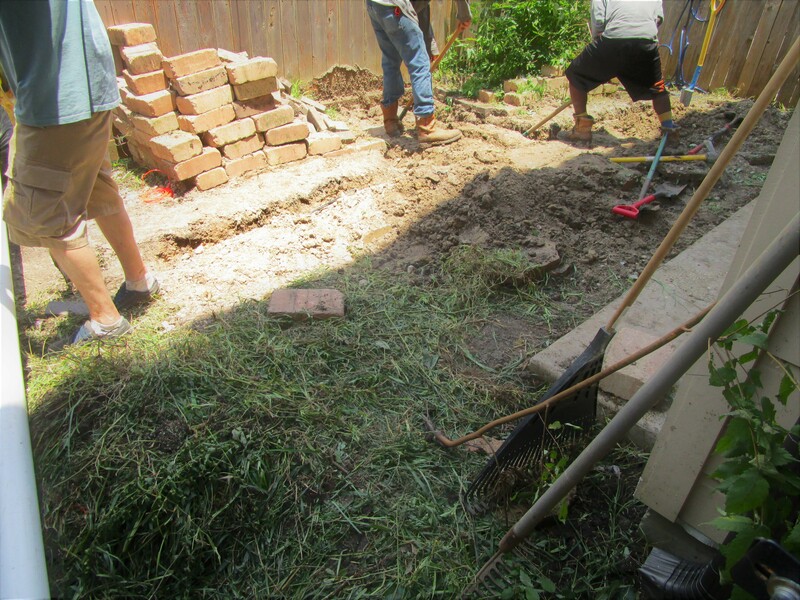 It is there to helps with drainage and airflow and work around the utilities. It could also be a place for a few potted plants. The narrow bed has 3 Cuban Gold durantas, Duranta erecta ‘Cuban Gold’, flanked on each side with 3 Dwarf Yaupon holly. Behind the durantas are several Fig Ivy that will climb up and obscure the old fence. I spec things on my designs like beach rocks or river rocks. Shawn is the one in the field that has to locate them. 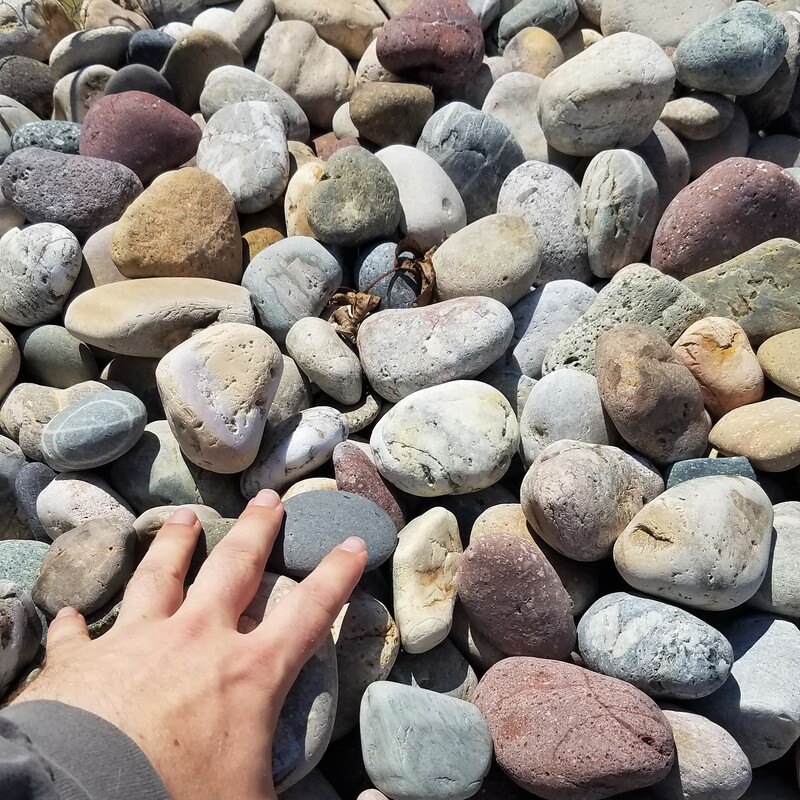 Here is a picture he sent me to see if I like these rocks. Look at all the beautiful colors, I love them! The view from the corner with the Bottle brush tree. Here you can see why the view was important. This is a small space that had been on two levels. Making it one level makes it more usable. Here is the opposite corner. In this view you can see the artificial turf. It lines up with the opening to the side gate. We wish we had a bigger piece, so there would not have been a seam down the middle, but it works and didn’t go to waste. This view is from the corner with the gate. The tall grass in the bigger beds are Lindenheimer Muhly grass, Muhlenbergia lindheimeri. Next year when it is rooted in and grows taller it will shoot up lovely plumes in the autumn that can be as tall as the fence. Grasses easily catch the breeze giving the garden movement and the lovely sound of rustling. Last corner from the narrow bed and east side of house. This is simple and will be easy to keep neat and clean. In a small space simple helps the space feel more open and thus bigger. A couple of months after the project the owners posted this collage on Instagram of the view from their balcony. I re-posted it. 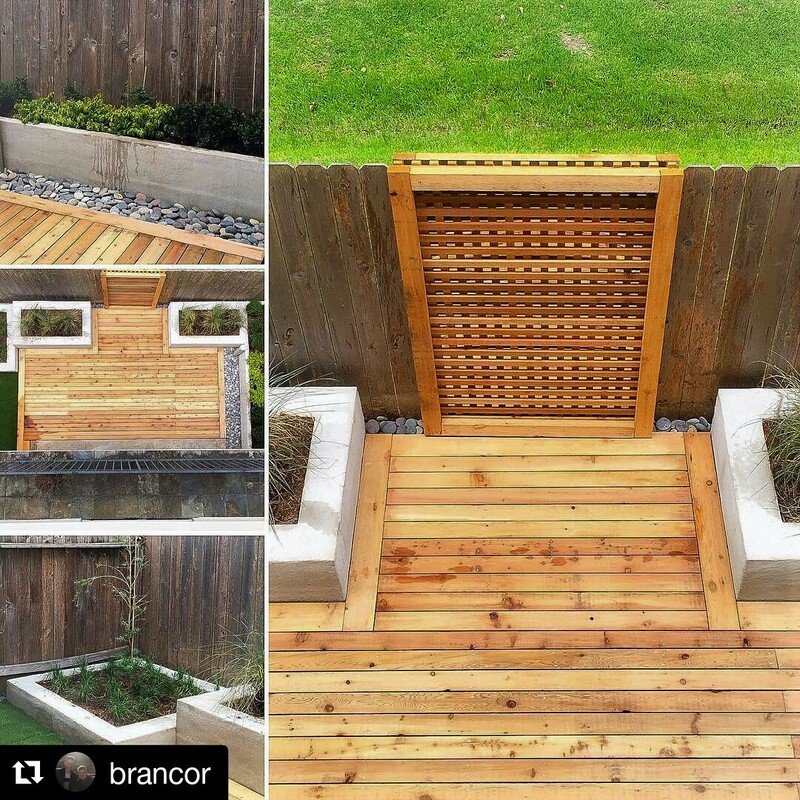 If you enjoy Instagram you can keep up with our projects on our company page Ravenscourt.us. 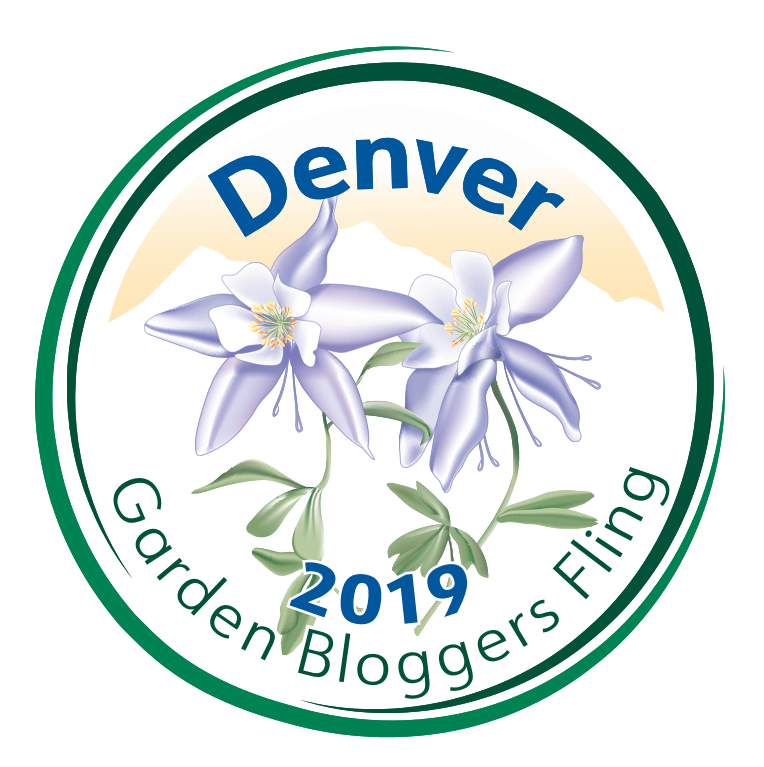 or on my personal and plant centric page Ravenscourt Gardens, the link is on the right here > Happy Gardening! Welcome back Lauren, I’ve missed you! Your house looks wonderful – we live in a Victorian terraced house in London, and I’ve always loved Victorian architecture – so cosy and serene! Thank you! It is nice to know I was missed. I have miss keeping up with your blog on weeds…they are my favorite. I lived in the ground floor of a terraced house on Weltje Rd. 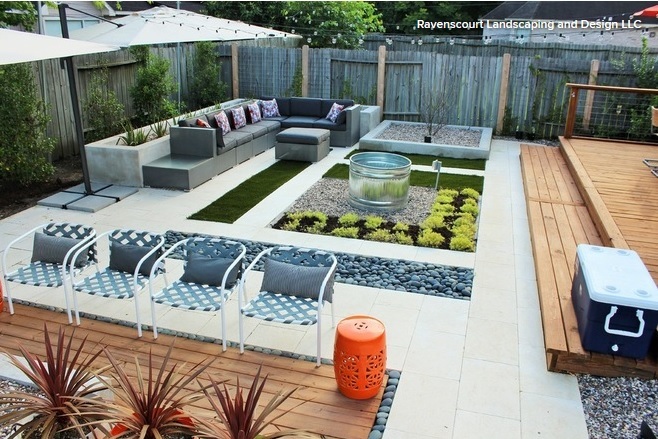 in London, right down from Ravenscourt Tube station and Victorian park. I love the old brick terraced houses. Happy New Year! 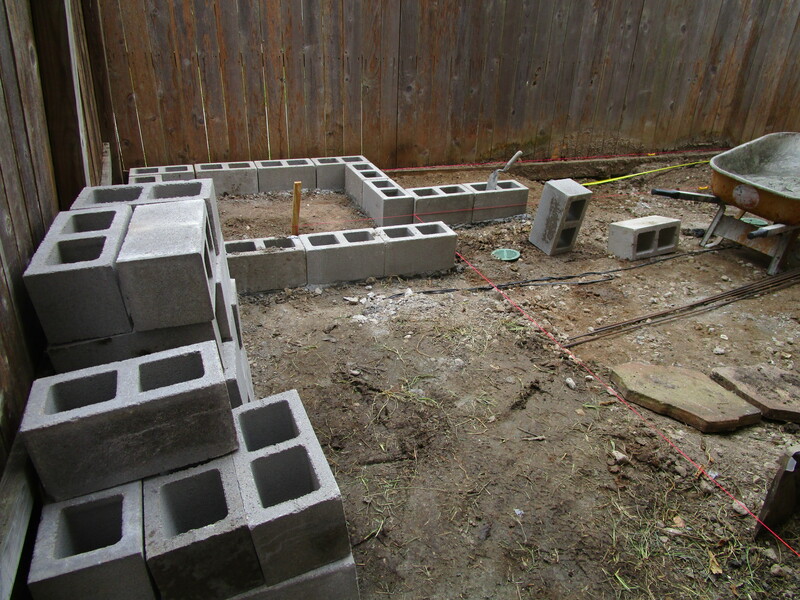 Man-oh-man, I love those cinderblock beds! I also loved seeing your insta updates on the house. We live in an almost 100 year old house that needs some updates…bad. I don’t remember seeing images if your home’s interior before and am totally smitten with what you’ve done! Your style and sensitivity to the age of the house are fabulous. We live in a house of similar age that needs quite a bit of work. I hope that one day our place will look half as good as yours. Really nice! Love the latticework. Love both projects. 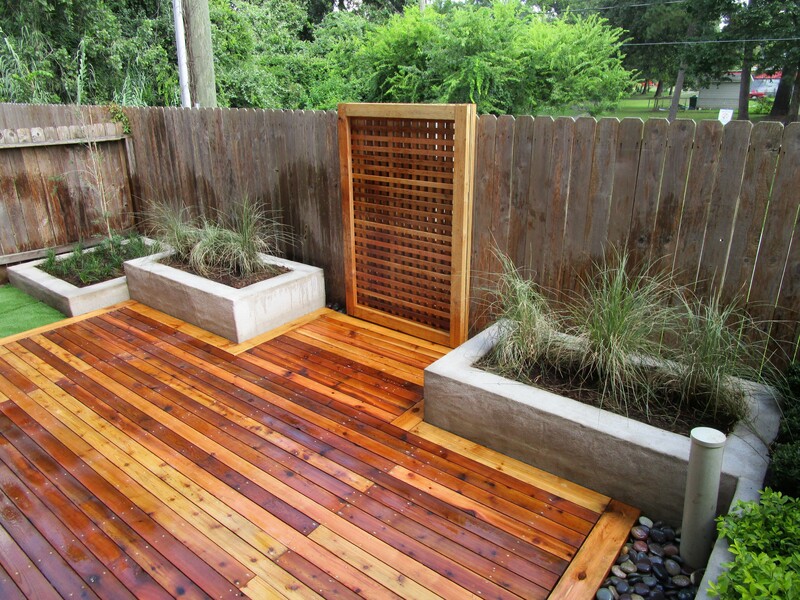 The deck really ties in the patio and the lattice mirror combo is a great focal point! Thank you! Our house was the most challenging project I had since I designed our garage with a garage apartment above. Makes me appreciate working with gardens!